Well, Phish fans, we were all wrong. At least the five dozen of us who ventured guesses about which musical “mask” the Vermont jam band would don for Halloween, in response to guitarist Trey Anastasio’s recent comments to Pop & Hiss about what this year’s choice might be. 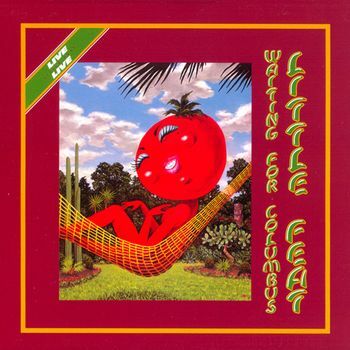 Turns out, for those who don’t know already, it was Little Feat’s “Waiting for Columbus,” the L.A.-based, Southern-rooted group’s 1978 double live album. I’d had an impression it might be “Layla” by Derek and the Dominos, and with the Southern rock and blues that run through that double album, I like to think I wasn’t way off the mark. For those interested in the full set list, here’s a link to the JamBands.com site with more details. For all those who pined for albums by Zeppelin, Lady Gaga, Genesis, Bruce Springsteen, MGMT, Pink Floyd, My Bloody Valentine, Kriss Kross, David Bowie, Radiohead, NWA, Roger Waters or the Minutemen? It’s never too early to start campaigning for 2011. « Jon Stewart’s Speech at the Rally For Sanity.